Good Morning Everyone, we got some very exciting news to share..
For the skeptics, we’ve found an interesting article that support the notion that flowers actually do induce real positive emotions in people. Why wouldn’t they. 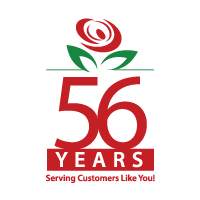 Being a Teleflora affiliated florist, we carry many of their floral designs. 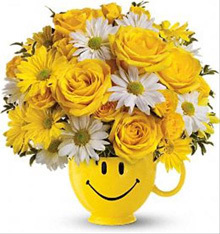 You can browse through our online store in search of Teleflora’s sunny, cheerful, happy flower arrangements and bouquets – guaranteed to bring out smiles in anyone. Imagine the moment when someone you care about, receives a Be Happy Bouquet, professionally arranged and delivered by a local florist. It will make them so happy.Their smile will in turn make other’s smile… contagious! Remember, when times get hard, it’s memories like these that we all reflect on and cherish, helping us get through the day. It’s a pleasant feeling knowing that someone out there thinks and cares about you.